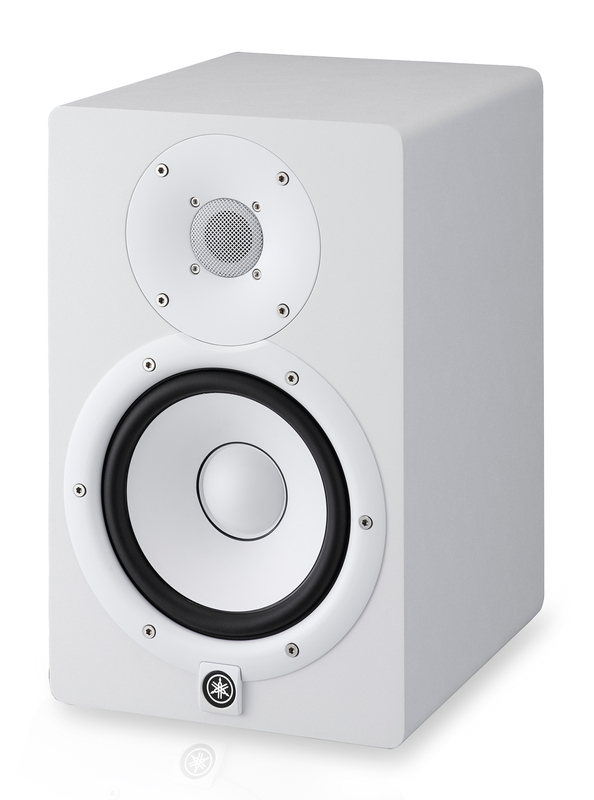 While the NS-10M is no longer in production, Yamaha has taken that heritage and applied it to the HS series of studio monitors. Focusing on sonic purity, the HS series delivers your mix in the most natural and accurate way possible. Newly developed transducers, a high performance amplifier, low resonance enclosure design, and professional I/O make the HS series some of Yamaha's best, and the best you'll find in a home studio. The HS7W is the middle child in the HS line. The HS7W features Yamaha's new 7" woofer design that is capable of response down to 43Hz, more than enough low-end for just about every style of music except electronic and rap. The new woofers use carefully selected magnets to provide ultra-low distortion and defined bottom at just about any volume level. All of the HS monitors, including the HS7W, include a brand new 1" dome tweeter design that is extremely efficient and is extends the high frequency response all the way up to 30kHz. The HS7W's tweeter uses a wave guide specially designed to minimize internal vibration, ensuring that what you're hearing is your music and not the hardware itself. 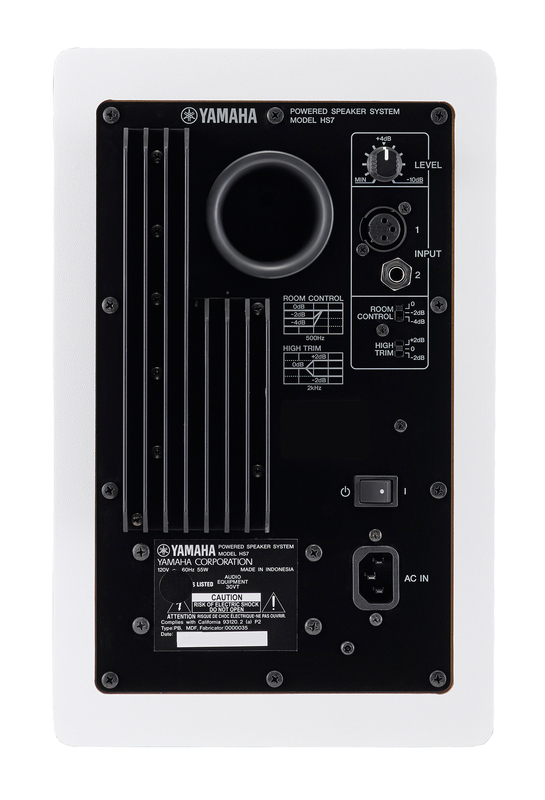 The HS7W monitor, along with the rest of the HS line, feature Yamaha's new noise reduction technology. Using highly sophisticated computer audio imaging technology, Yamaha engineers have developed a new port technology that is capable of reducing audible noise up to 6dB. This technology minimizes air vibrations inside the port itself, as well as reduced resonance within the enclosure itself. The HS7W studio monitor has the professional audio connections you need to connect to your audio interface or output card. The HS7W has both XLR and ¼" TRS connections. There is also a level control that allows you to balance the input level for the device you're connected to. Most of the time in a home studio environment, studio monitors are sitting atop a desk, usually up against a wall or corner. While this is not the most ideal placement, it's the only choice sometimes because of space constraints within the room. Bedrooms and basements are where you'll find most studio spaces in a home. When backed up against a wall, low-frequency resonance can build up giving you a less than accurate representation of the low-end in your mix. The HS7W helps combat this effect with a ROOM CONTROL switch that can attenuate everything below 500Hz by -2 or -4 dB. There is a also a HIGH TRIM switch that can be set flat, or give you ± 2dB of extra control of everything above 2kHz. Dimensions (W x H x D) 8.3" x 13.1" x 11.2"